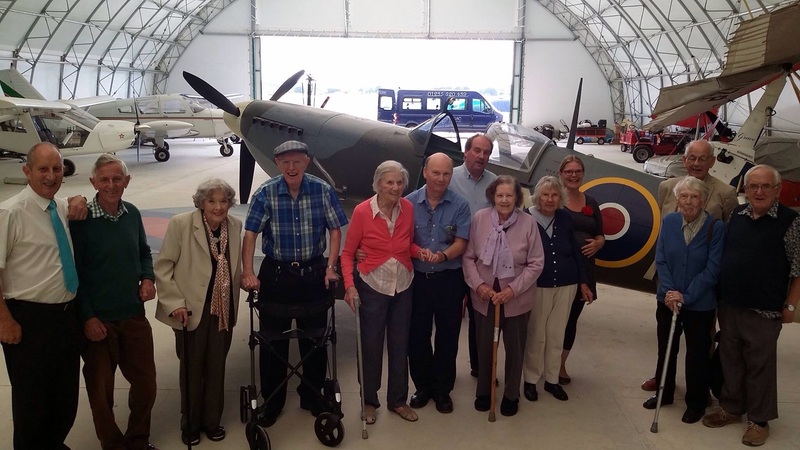 Pauline Tucker our very own amazing resident living at Bridge House is a surviving veteran as a female spitfire pilot, this week we re-ignited this time of her life by taking her to visit a spitfire! As she reminisced about the important job she had we saw a real spark and life shine from her, what a special day! here’s a bit about what she had to do..
During World War II, a remarkable band of female pilots fought against all odds for the right to aid the war effort. Without these Spitfire Women, the war may never have been won. These trailblazers were part of the Air Transport Auxiliary, a thousand-strong organisation that delivered aircraft to the frontline RAF during Britain’s darkest hours. Every day, responsibility fell on their shoulders to get the planes to the fighters, which often pushed them into dangerous and even deadly situations. only 1 in every 10 female pilots survived.